Dr. Lancer's complete anti-ageing solution is now also available for the body so that you can enjoy youthful, glowing skin from head to toe. 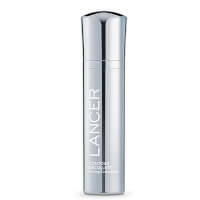 After the success of his clinic on Rodeo Drive, Dr. Lancer launched Lancer Skincare to make his famous three-step Method accessible to all. His skincare products are the exact same ones that he uses in his clinic so you can now achieve Hollywood standard skincare from the comfort of your own home. "Yes, they call me Dermatologist to the stars, but everyone is a star in my eyes." Learn more about Dr. Lancer's scientifically created skincare range, his celebrity clientele, and exclusive top tips from the doctor himself! Discover Dr. Lancer's innovative "less is more" approach to quality skincare. We caught up with Dr. Lancer in an exclusive interview about his range. Discover the healthy makeup alternative that gives you that "lit from within" glow. Lancer took part in the Wedding Show as part of the #BELOVED campaign. 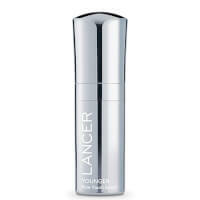 Lancer Skincare was first created when Dr Lancer realised the need for his breakthrough anti-ageing treatments to be made easily available, and without the need to attend the clinic. Dermatologist to the stars, Dr Lancer has been a trusted resource for some of the world’s most beautiful people for over 30 years. His “less is more” approach remains at the heart of the collection; particularly within the Lancer Method. With no radical or multiple procedures involved, the Lancer Method comprises of three steps – exfoliating, cleansing and nourishing. 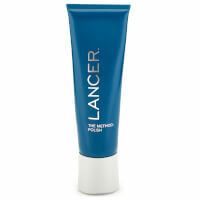 As opposed to the more “cleanse, tone, moisturise” routine, the Lancer: Method comprises of “polish, cleanse and nourish”. The products have been designed to work with, and enhance one another, with the focus on being the outer layer of the skin (epidermis) as opposed the lower layer of the skin (dermis). Dr Lancer highlights that no matter how therapeutic, products are not able to reach the dermis, highlighting that there the shift needs to be made to exfoliation and stimulating the skin. With results in as little as a few days, you can expect to see dramatic and visible improvements in the skin tone and appearance; leaving you with the renowned Lancer Glow.